such an amazing job maintaining the trails and lean-tos! 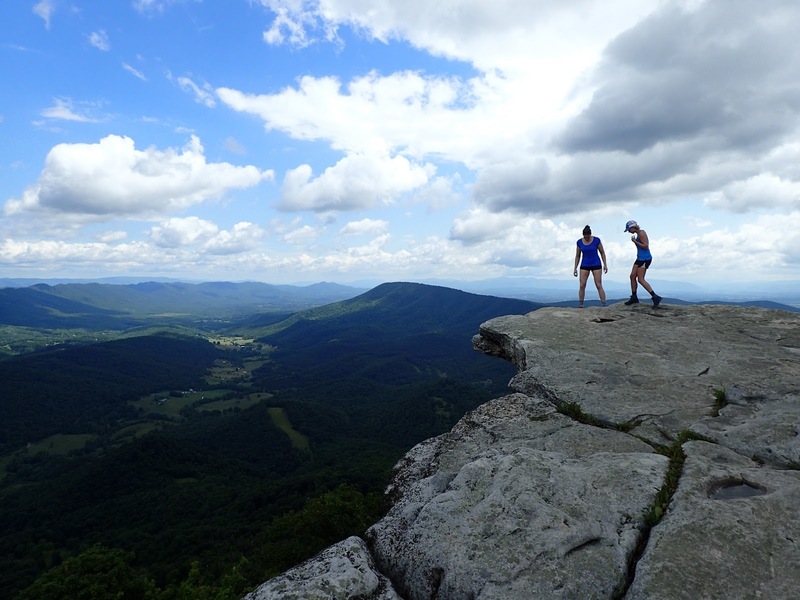 Southwestern Virginia has some incredible hiking and backpacking available, and covering the Virginia Triple Crown makes it possible to visit three beautiful destinations in one trip. The Triple Crown can be completed via a number of different routes, and each of the three destinations can also be visited on day hikes. We chose a loop route that, if completed, covers about 36 miles and allowed us to use one car. As a caveat, I don't recommend this trip if you're a beginner backpacker. Our route covers over 9,000 cumulative feet of elevation gain, involves rock scrambling, an entire day of hiking without reliable water sources, and a day over 15 miles. 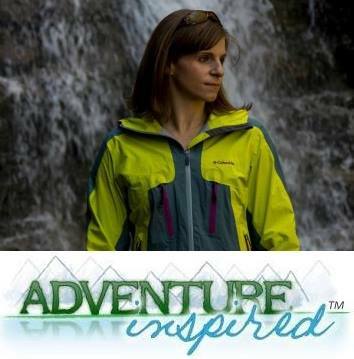 With that out of the way, I'm excited to share tips and tricks to help you plan your Virginia Triple Crown adventure! Read the full trip report here. 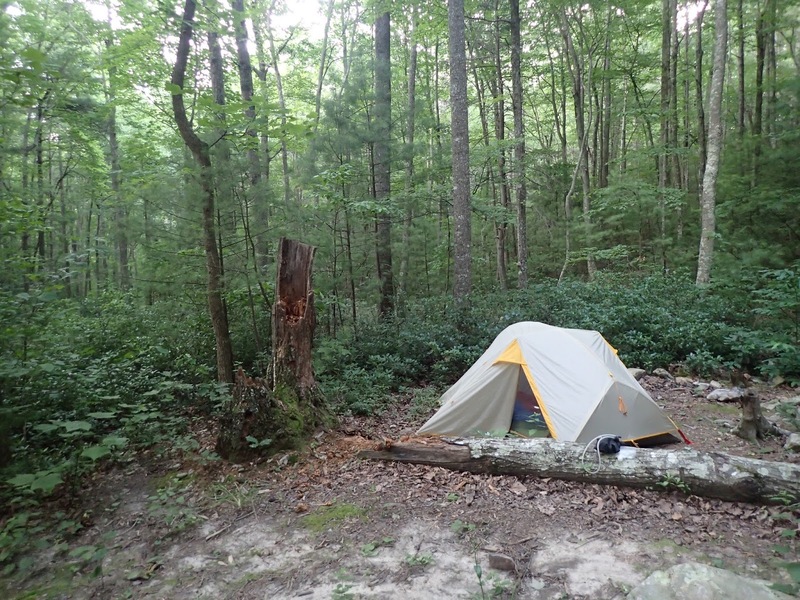 Review our two night, three day route plan, starting at Mcafee Knob. I grabbed this map, then took out the pages we needed before we left. But as a note, the connector trail to North Mountain from the Andy Layne trail isn't on the map, and that resulted in my miscalculating our mileage on the second day. Park at Mcafee Knob parking lot, follow the AT north. Pass Mcafee Knob, three AT shelters (Johns Spring, Catawba Mountain, Campell), Scorched Earth Gap, overnight at Lamberts Meadow Shelter. Make use of water source, bear locker. 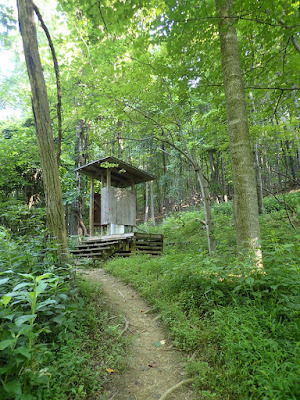 Fill up water, then retrace steps 0.7 miles south on the AT to Scorched Earth Gap, the Andy Lane Trail down. Fill up water at first creek, large with large bridge. Walk through cow pasture, cross second creek, continue to Catawba Rd., Cross road, hike up to North Mountain Trail (yellow blazes) via Catawba Valley Trail (blue blazes). Come down North Mountain, cross 311, head through Dragons Tooth parking lot, camp at Boy Scout trail 0.2 miles later. Leave packs at Boy Scout camp, tag Dragon's Tooth via Dragon's Tooth trail. Retrace steps back to camp, pick up bags, take Boy Scout Connector Trail to AT. Follow AT back to 311 and Mcafee Knob parking lot. Mcafee Knob is the first of the three Triple Crown destinations on our route. They're all great day hikes, too. Initially, it made the most sense to me to start at Dragon's Tooth, the western-most point, and head east. But after emailing the Roanoke Appalachian Trail Club (thank you, Susan! ), I changed my plan for a few reasons. First, it's a game of hiking from one water source to the next, and this gave us options for camping near water. Second, we hit two of the three viewpoints on the first day, and the last, coolest (in my opinion) one at the end of the trip. Third, we were able to get to the top of Dragon's Tooth without packs. Given how much I needed to keep my balance and use my hands on that trail, that was super helpful. In peak season, arrive and park as early as you can. Due to some unforeseen circumstances, including some car issues, we didn't get to the Mcafee Knob parking lot until 9am. We got extremely lucky; someone was pulling out of a parking spot as we were arriving, and we gave our spot to another late arrival when we finished the hike around 10am. Plans can get completely goofed up if you can't park. Brush up on proper food storage tips, there are bears around. At the Boy Scout camp on the second night. We could hear cars on Route 311, and it was near the trail, but I slept like a rock! The most important thing to remember when camping in bear country is to never allow bears to access your food, garbage, or other items. Bears are attracted to human food, garbage, cooking pots/utensils, cooking oils, fuel stoves and lanterns, unopened canned items, cosmetics, lotions, toothpaste, and anything that smells out of the ordinary. All of these things should be stored where bears can't get them. And keep your cooking area, tent, and food storage area at least 100 yards from each other. Lamberts Meadow shelter had a bear-proof storage locker available, so we used that the first night, but I kept all of our bear-attracting items in a bear canister for the entire trip. If you're hanging a bear bag, make sure it's at least 10-15 feet off the ground, and 4 feet from vertical supports. We saw a few bear bags hanging in trees touching the trunks, which won't do you any good; bears can climb. Keep all items with a scent out of your tent. Read more about bear encounter prevention here. Know where water sources are, especially in the summer, because there aren't many. Our route plan had us starting at Mcafee Knob with water, camping near water after the 10.6 mile hike to Lamberts Meadow Shelter on the first day, filling up before we left and re-filling at Catawba Creek along the Andy Layne trail after 3 miles on the second day, and making it a full 13 miles before we got to the next water source. The only day where we'd have multiple water sources along the route would be the last day. Water from the creek near the Boy Scout camp up near Dragon's Tooth. I've never paid as much attention to water on a trip! Water sources we used included the creek at Lamberts Meadow Shelter, the first branch of Catawba Creek we saw when we crossed the Andy Layne Trail, and the creek at the Boy Scout camp near Dragon's Tooth. 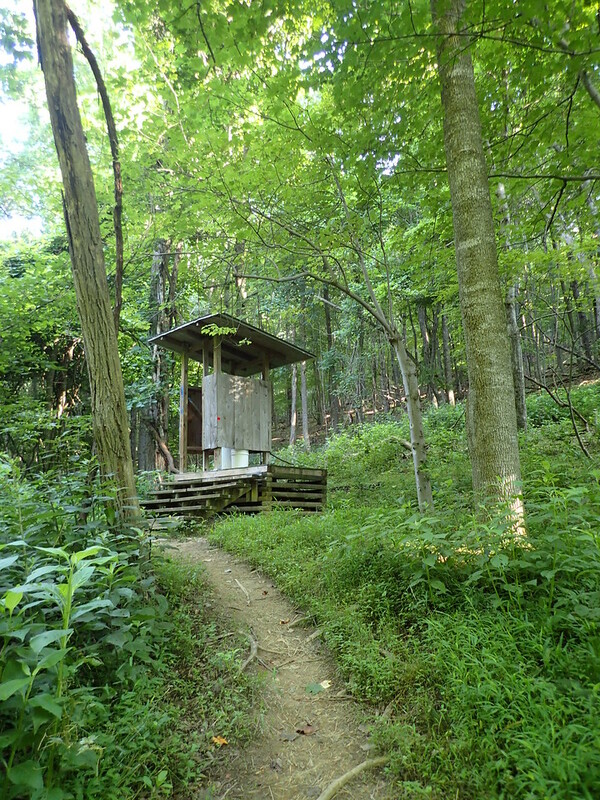 We skipped a spring at the Catawba Mountain Shelter on the first day and a small creek along the Catawba Valley Trail on the second day. 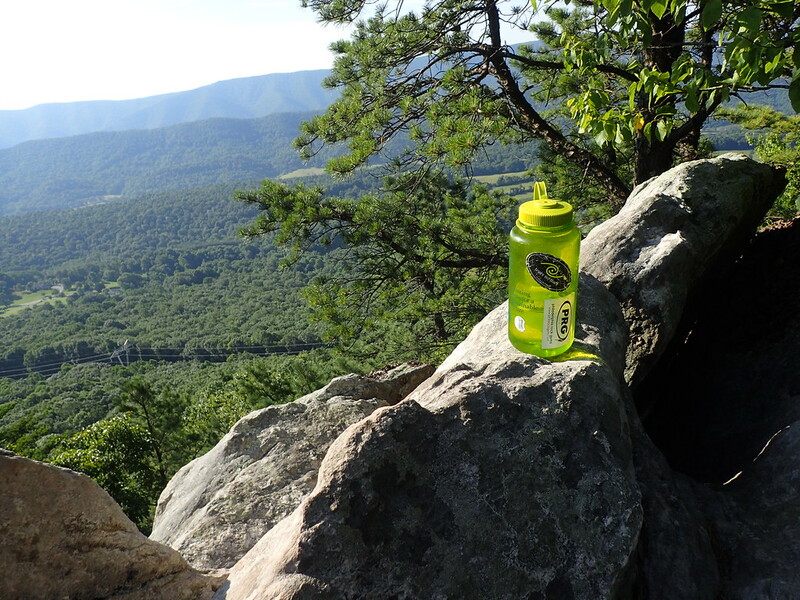 It was especially important for us to carry enough water, and know where water sources were, because of the heat and humidity we hiked in on three hot Virginia July days. And because the majority of the food we brought required re-hydration. Skip the cow pasture branch of Catawba Creek creek for water. If you're coming down the Andy Layne Trail from Scorched Earth Gap like we did, fill up from the first branch of Catawba Creek you see. The second flows right through a cow pasture, and we dodged piles of cow manure along the trail around there. Definitely not an ideal place to pump water! Keep in Mind, the North Mountain Trail is overgrown, and there's no water. If I did the Triple Crown again, I'd consider an out-and-back or point-to point to avoid the North Mountain trail entirely. The steep 2.5 mile blue blazed Catawba Valley Trail to get to the North Mountain trail wasn't too bad, but then, it's a 9 mile slog along an overgrown footpath with no water sources. Thankfully, the creek at the Boy Scout camp near Dragon's Tooth provided plenty of water at the end of the day. But following our route plan, that meant a nearly 16 mile day, and if we didn't make it, we'd run out of water. The beautiful, lush, and completely water source-free North Mountain Trail. If you follow our route plan, make sure you can cover the 15.5 miles, or carry extra water. We carried 2L each day, and that was just enough to get us to the Boy Scout camp from Catawba Creek. If you can't make the entire 15.5 miles, I'd recommend at least 4L per person from the Catawba Creek branch at the bottom of the Andy Layne Trail, and more if you can't make it at least to the Grouse Trail intersection. I'd also recommend wearing pants; the grasses are high in the summer, (yay tick season! ), and my legs got pretty scratched from the bushes we walked through. Be a part of the trail magic phenomenon if you can. 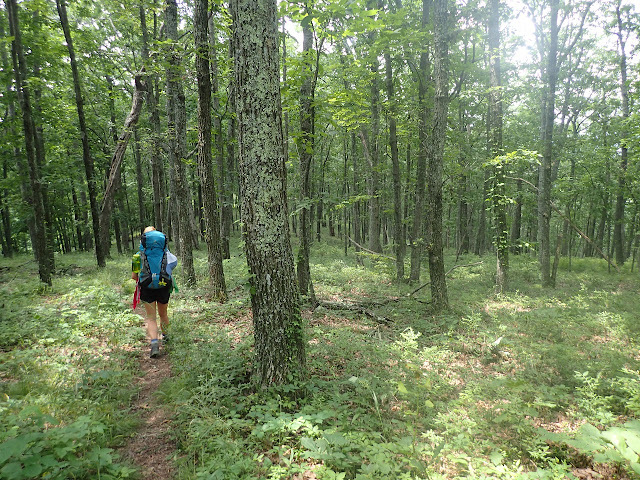 Trail Magic is a tradition along the Appalachian Trail and other long distance hikes in the United States. In it's simplest form, it's practicing kindness, and performing acts of kindness for other hikers because completing a trail like the AT is no small thing. And as it turns out, based on my experience, Trail Magic isn't just reserved for thru-hikers. We were the recipients of trail magic when the kind soul we met in the Dragon's Tooth parking lot gave us a ride 4 miles up the road to our car at the Mcafee Knob parking lot, enabling us to get to Roanoke in time to address a medical need. I'd also consider the kind folks at Meineke #880 in Roanoke provider of Trail Magic, given they fixed my muffler in 30 minutes and enabled us to get on the trail in the first place. You can bet I'm going to try to pay it forward as much as possible in the future! If you've done the trail before, I'd love to hear what else you'd add! I'd love to go back in the fall or winter, and would be interested to hear from anyone who has! If you haven't done this trail, think you'd want to?